Y'all. This recipe almost didn't happen. Just a little peek into my blogging process. I like to create and make recipes a week ahead of when I post them. JUST in case something happens and I don't like the outcome or it's a complete disaster. Last week I ran out of time to make the recipe for this week so this past Sunday before I started SuperBowl prepping I tried to whip up a sweet treat for my Valentines Day post this week. It did not come out the way I wanted it too. It was tasty but boy was it UGLY. I mean, there was no amount of Lightroom that could touch up that creation. Luckily, I wasn't 100% sold on the first recipe so I made sure to have my trusty back up, cupcakes. 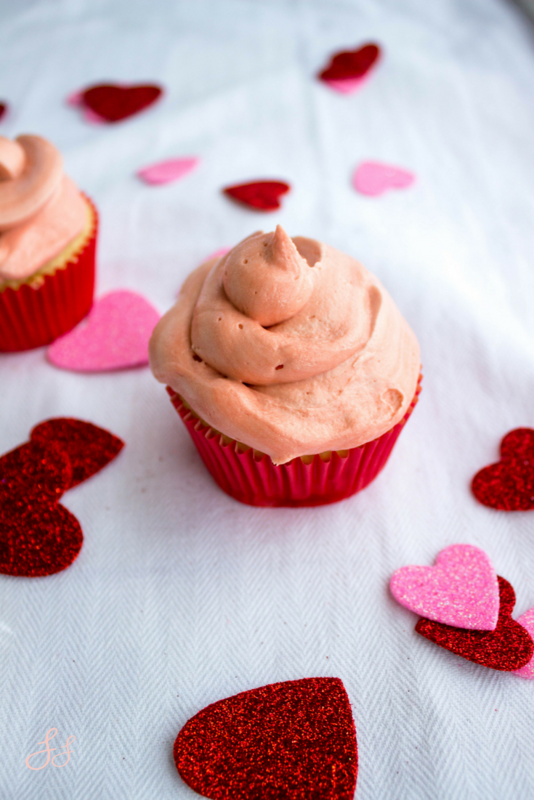 You all seem to love my easy cupcake recipes so why not just stick to the old faithful. This recipe is a little different though as I made the icing from scratch, but it is so easy you won't even miss the store-bought stuff. I'm all for simplistic allergy friendly baking. Hence why I'm not ashamed to raise my hand and say "I use pre-made cake mix!" 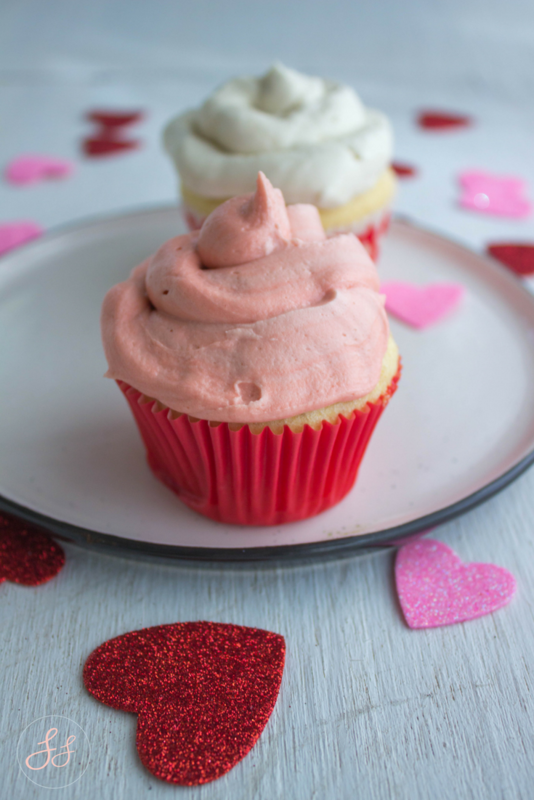 This time around I used Bob's Red Mill yellow cake mix to make the perfect cupcakes. Of course, I added my own little flavoring to make them special. Who doesn't like a good moist vanilla cupcake with tasty frosting!? This recipe is so easy your dog could make it! Make cupcakes according to directions on the mix box. Add in vanilla extract (1 tsp) to batter and mix.Bake the cupcakes according to the directions and allow them to cool completely.While your cupcakes are cooling, make your icingIn a mixer, blend butter and slowly add in powdered sugar. 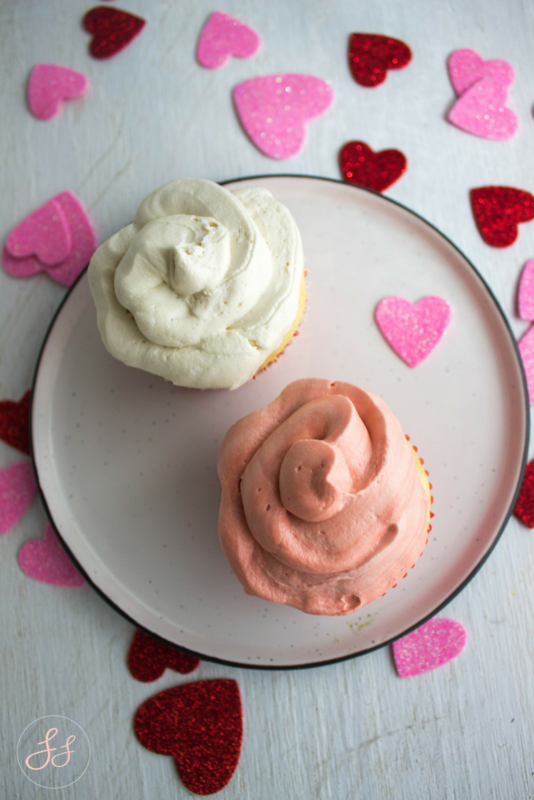 The frosting is a buttercream base so if you don't like a strong butter taste add more powdered sugar.Once blended add in vanilla extract (3/4 tsp) and mix more until smoothTop your cupcakes with frosting and serve (or eat) immediately. Do you have a classic and simple recipe you love to make? Yellow Cake and Cupcakes have always been my favorite! 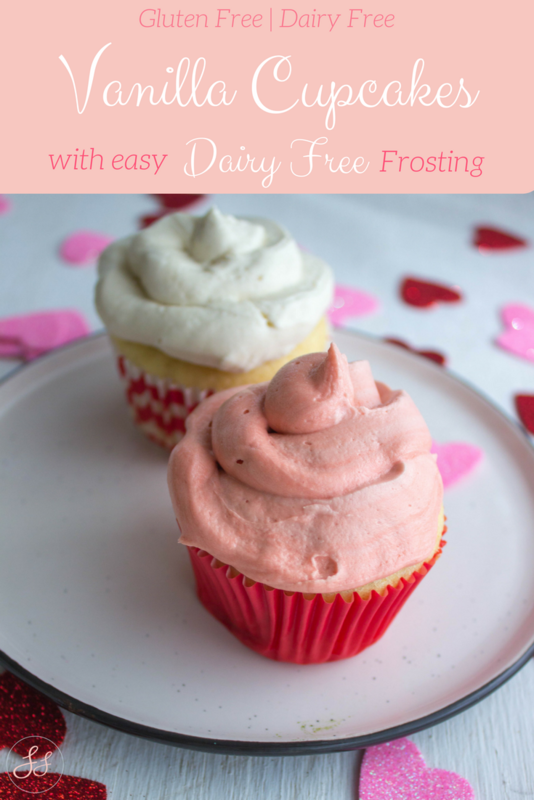 Don't those earth balance products make the best dairy free frosting?! When I was dairy free I used them to make my son's first birthday cake and it was AMAZING.